Are Manhattan Bankruptcy Lawyers Misleading You About Foreclosures? Home / Are Manhattan Bankruptcy Lawyers Misleading You About Foreclosures? 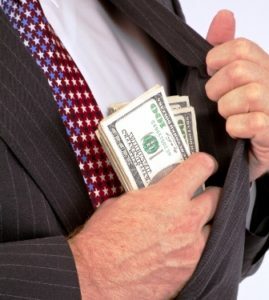 Are Manhattan Bankruptcy Lawyers Misleading You About Foreclosures? Bankruptcy Does NOT Stop A Foreclosure! Let’s be honest. Manhattan Bankruptcy Lawyers are business owners. They want your money. They will sing and dance the Jitterbug on their desk to convince you to give them your hard-earned cash. Matter of fact, there is little they won’t do for your money. Your bankruptcy lawyer is lying to you if they claim they can stop a foreclosure with a bankruptcy. This is not entirely true. A bankruptcy can only delay the foreclosure. This is because all a bankruptcy can do is extinguish the promissory note. It does not extinguish the mortgage which is the actual lien on your house. You could find yourself hiring a foreclosure attorney after wasting thousands of dollars on Manhattan Bankruptcy Lawyers. You could also find yourself with both a foreclosure and a bankruptcy on your credit report. Manhattan Bankruptcy Lawyers also won’t explain to you that a bankruptcy stains your credit report for ten years. A foreclosure only stays on your credit report for 7 years. You can also qualify for a new mortgage within 2-3 years after a foreclosure. As a result, negotiating a loan modification with a foreclosure attorney or walking away is a better strategy. Most Manhattan Bankruptcy Lawyers will convince you to reaffirm your mortgage. When you sit down with your Manhattan Bankruptcy Lawyer they will discuss reaffirming your mortgage in foreclosure. Reaffirming your mortgage means the mortgage will not be included in the bankruptcy. Hence, the mortgage in foreclosure is off the table in the bankruptcy. Most Manhattan bankruptcy lawyers use an assembly line process as a business model. So they will encourage you to reaffirm your mortgage. They don’t want to spend hours negotiating a loan modification with your lender when they could be making money. You will also be required to make your mortgage payments when your Chapter 7 bankruptcy is discharged. A Chapter 13 bankruptcy works differently. The bankruptcy trustee will require you to pay your original mortgage payment plus the renegotiated payment for your other debt. Mortgage lenders can also require you to resume making payments immediately by asking the bankruptcy judge to lift the stay. Many homeowners find themselves facing foreclosure after wasting thousands of dollars on bankruptcy. Most Manhattan bankruptcy attorneys won’t tell you what to expect after a bankruptcy. It’s generally because they don’t care. The lawyer has your money and they have done their job. So that is that. Several post-Chapter 7 MFI-Miami clients have received disturbing notices from their lenders. The notices inform them their interest rate and payment were being jacked up. This forces the homeowner to accept these terms or endure another foreclosure. Lenders would rather take a more direct approach. In most cases, lenders will just move in for the quick kill and resume the foreclosure. Lenders can and will foreclose on the mortgage lien placed on the property. Lenders will do the same thing with people who file Chapter 13 bankruptcy. Yet, they will usually wait out the five years of the Chapter 13 protection. They will use the pre-bankruptcy arrearages as the excuse. 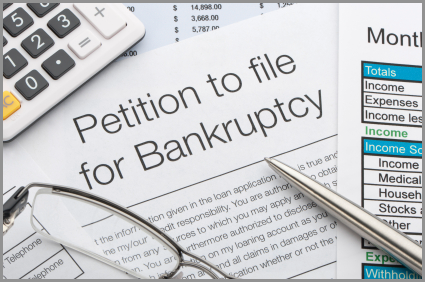 Learn about your options before filing bankruptcy. It could save you thousands of dollars.